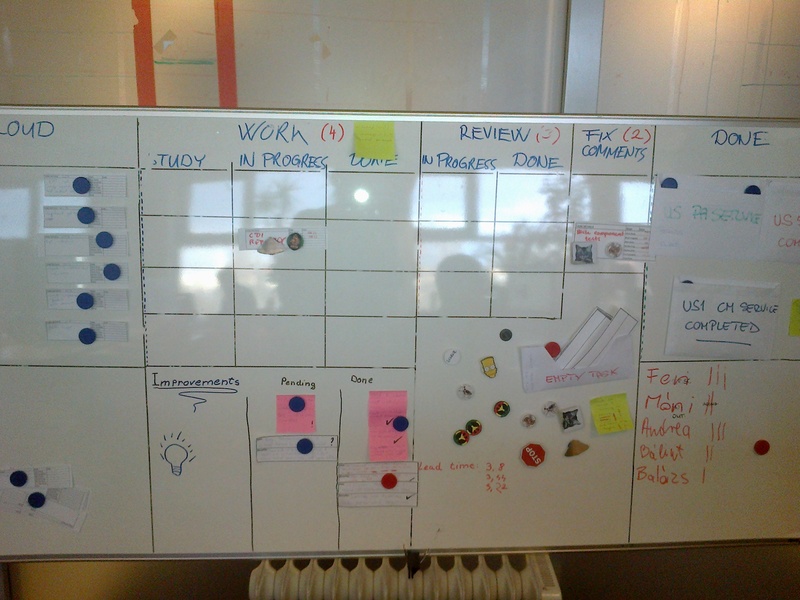 Do sprints add value at all? Do sprints make any sense at all? We can’t go fully agile, so these artificial deadlines don’t have any added value at the first place. After having worked on some mission critical software, this is what perhaps I hear the most from agile-skeptic people. Let’s admit it: many domains are too rigid for sprints, continuous delivery and such. I can’t imagine a telecom company so agile, that it rolls out new software for an entire network every 1-4 weeks. Not to mention several deployments per day. Just imagine it; one tiny bug and the whole network of your provider goes down for hours. Dropped calls, unsent texts, broken 3G connections, apocalypse. Also, I perhaps wouldn’t like my bank to deploy new software that often. I simply wouldn’t feel my money’s in safety. What about an MRI software updated every two weeks? One single bug, and it falsely diagnoses people with lung-cancer. Full agile is great if you are doing stuff people use for fun and not for a living. The worst that can happen there is a “please try again in a few minutes” error message. Maybe you cannot wish a happy birthday to your uncle; he might get disappointed, but no serious damage is made. The thing is that a good majority businesses are just not suited to be entirely agile. Whatever you do at development, after a certain levels things stop being agile. “No matter” if you keep or break your sprint commitment, because the project as a whole is not to be delivered in two weeks. It’s due date is far ahead in the calendar, half a year, (even more) not to mention its first deployment date. And that’s good. Some thing just need to pass a big number of tollgates to be entirely safe to use. Is it worth to do sprints and/or continuous (internal) delivery then? Definitely. Creating a complex system is much easier when done in chunks of work; iterations, user stories, tasks. They bring the feeling of getting something done every two weeks, every day, every hour. They also help keeping the focus, staying organized. One task at any given time. Smaller pieces are easier made bug-free and more maintainable. Even if you can’t save the world (=make agile enterprise-level) the benefits of sprints can be huge if done right. Also, in such tough industries odds are pretty high that there is some kind of complex legacy process in place. As processes are never perfect, sprints offer a pretty fine opportunity to revise them. It “sometimes” even makes people happy to have their voices heard. Sprints, put it simple, are an awesome way of getting better stuff out of a team; better performance, better processes, better mood. Maybe it’s time giving them a try? Author tamasgyorfiPosted on December 6, 2013 April 11, 2016 Categories agileTags mission critical software, Posts, sprints2 Comments on Do sprints add value at all? 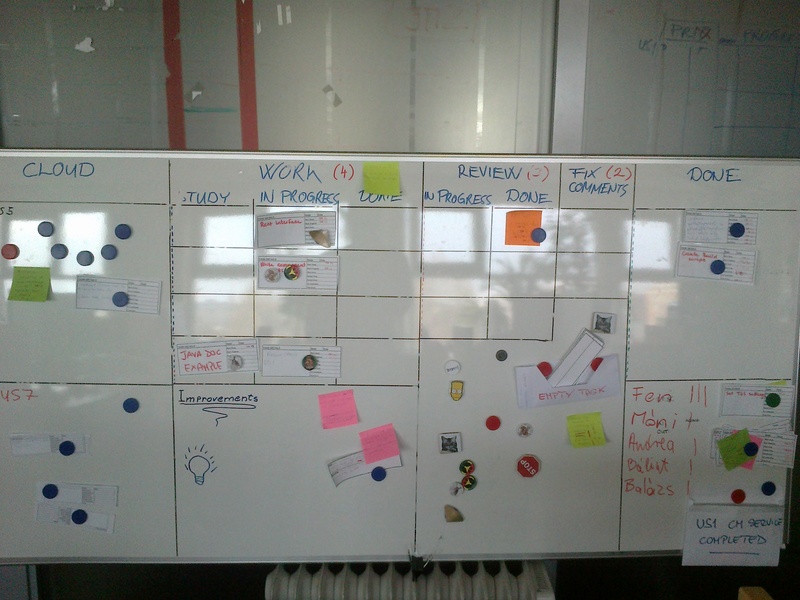 Some days ago, I was giving a talk at the Budapest Lean/Kanban meetup group on how Kanban works in my development area. 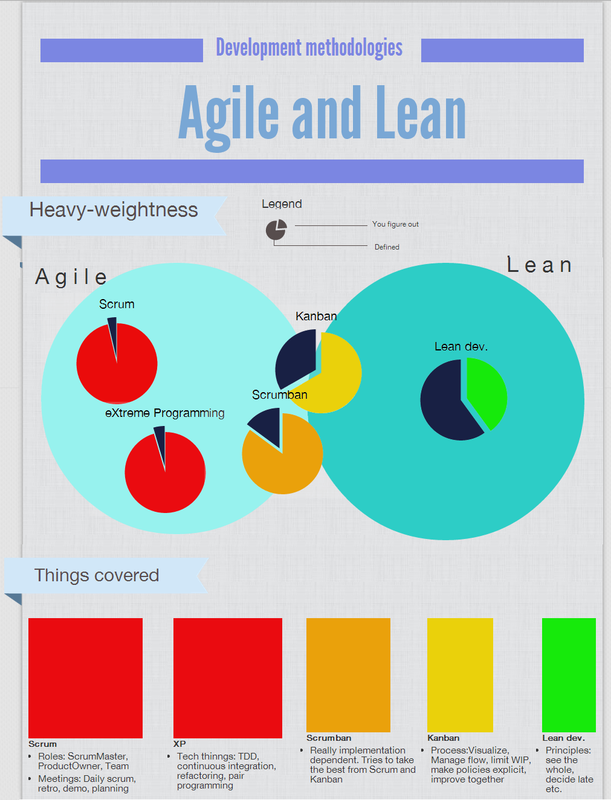 The presentation below captures several Kanban board designs from this development area, along with their pros/cons. As you can see all of them are pretty much different, however, they all work quite well in their own context. So, take a look if in the mood, and feel free to share your own table designs.